Chandler is a city located in Maricopa County, Arizona. Chandler city’s population is estimated at 236 123 people. The origin of the name of the city is due to Dr. Alexander John Chandler, who in 1891 created a ranch with a seventy-three square kilometres area, which he called Chandler Ranch. In 1912, Chandler High School was opened. The economy of the city was so well developed, that it managed to withstand the crisis during the Great Depression. The problem with cotton a few years later reflected badly on the city and of its inhabitants left it. In 1941, Williams Air Force Base was founded, which attracted more people into the city. 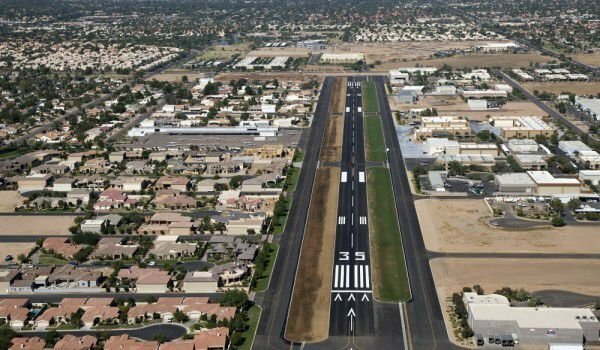 In 1950, in Chandler lived less than four thousand people, but in 1980- the city enjoyed a population of thirty thousand. This is mostly due to the fact that the area had housed a large amount of companies that attracted people looking for work . Crime in the center of the city grew and this led to a joint operation by police and federal immigration authorities in 1997. During the operation, four hundred and thirty illegal immigrants were arrested and deported. The city of Chandler holds the famous Ostrich Festival every year. Agriculture was the main business area, where they were mainly planting cotton and corn. In 1910, there was a real boom in the establishment of ostrich farms in the area. This is due to the fact that at that time, ostrich feathers were very fashionable, in addition to expensive ladies' hats. Computer giant Intel has played an important role in the development of the city. In the early twenty-first century, in the region have been made investments worth three billion dollars and thousands of jobs were made available. One of the main attractions of the city are the three malls and Chandler Fashion Center.